Generations of Danish women - and light drinkers - have entertained themselves in dance halls and through traditional lunch partys on this highball: Flyversjus. Sjus is the Danish word for highball - from the German world for shot - so a sjus is a shot of booze mixed with soda. Flyver is more tricky, as no one quite know how this mix of aquavit and lemon soda got it's name. It can mean either airplane or pilot. When I read that the theme for this month's Mixology Monday is the highball, I knew I wanted to give Flyversjus a make over. What is your favorite gin and tonic combination in the middle of summer? Care to expound on the perfect bourbon for a bourbon and branch? Find a new or obscure mixer that just fit with the end of your rum in the back of the bar? Maybe an ode to an under appreciated bar workhorse, like whisky and cola, deserves time in the spotlight? Rediscover the joys of Irish Coffee in the snow and ice of winter? Maybe you have a guilty pleasure at home when nobody is looking to ease you out of a long day. 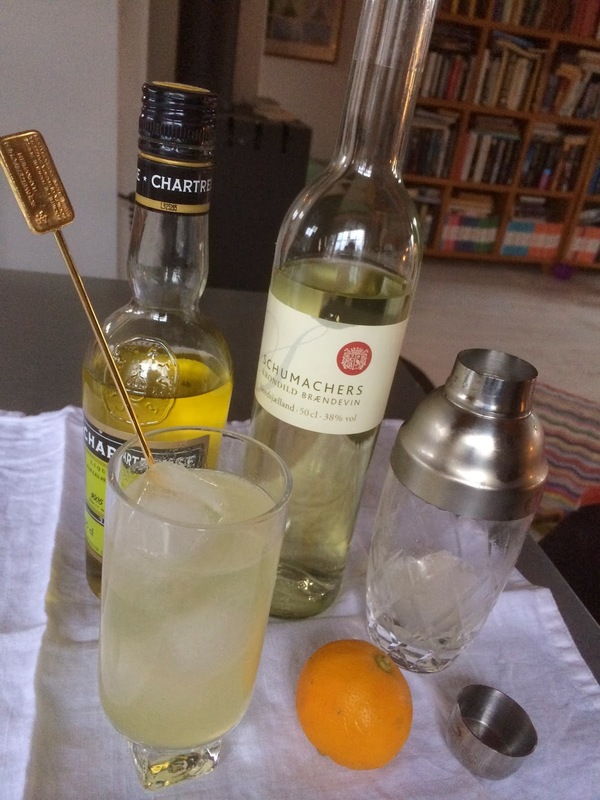 Your challenge is to give us a compelling post about a highball to ease into the New Year. Let’s give the Highball its due. I could be completely wrong, but I think Flyver in connection with this drink means pilot - making this drink, the pilots highball. 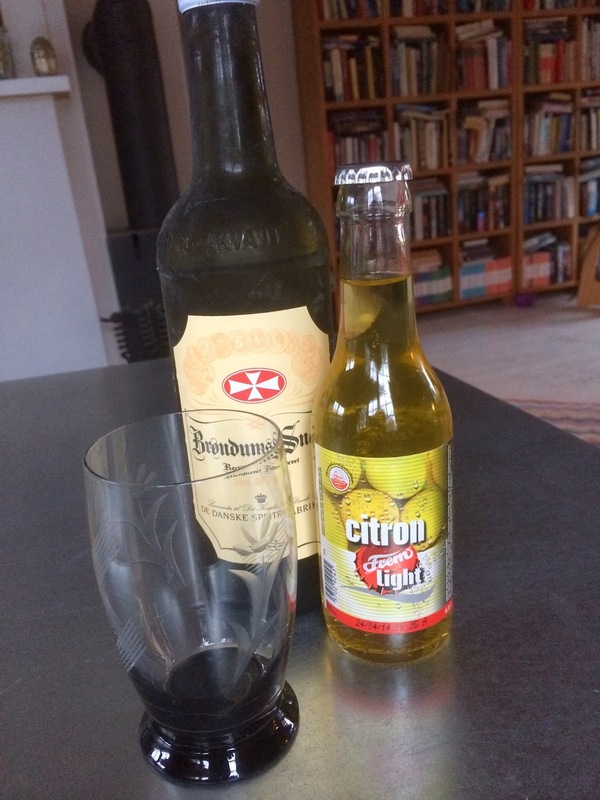 It would make sense, that at a time where men where expected to drink beer and aquavit together - and lot's of it - whoever needed a less potent mix ordered a soda instead of the beer with the aquavit and then at some point just poured it into the soda and drank it that way. Considering that drunk driving laws was not introduced in Denmark until the 1970, who knows if pilots could drink this and still fly airplanes? Mix the first 4 ingredients in a shaker with ice and shake until cold, pour over fresh ice into a tall glass and fill the glass with seltzer. Any tips for replacing the Bergamotte juice? E.g. som mix of orange and lemon juice perhaps. So sorry for the late reply - yes I would try a mix of lime and some other citrus - white grapefruit if you can get it migt be an idea.